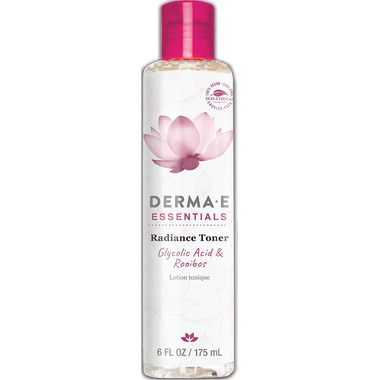 This alcohol-free, exfoliating beauty toner helps to tone, tighten and brighten for a soft, smooth and luminous appearance. Glycolic Acid helps to remove dead skin cells for younger-looking skin while an exceptional blend of botanicals including Rooibos and Rosehip extracts help to revive skin for a fresh, radiant complexion. Ingredients: Purified Water, Glycolic Acid, Sodium Hyaluronate (Hyaluronic Acid; Actimoist® Bio-1), Polysorbate 20, Sodium Hydroxide, Pinus Pinaster (Pycnogenol®) Bark Extract, Panthenol (Provitamin B5), Aspalathus Linearis (Rooibos) Leaf Extract, Rosa Canina (Rosehip) Fruit Extract, Saccharide Isomerate, Organic Aloe Barbadensis (Aloe Vera) Extract*, Allantoin, Organic Chamomilla Recutita (Matricaria) Flower Extract*, Cucumis Sativus (Cucumber) Fruit Extract, Phenoxyethanol, Ethylhexylglycerin, Natural Fragrance Oils. Amazing! Makes my skin glow. Love the natural ingredients as well.